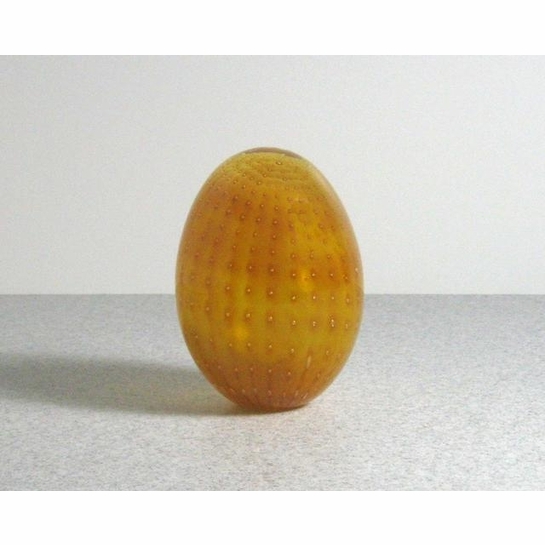 More about iittala Toikka Golden Egg This special edition egg was designed in 2002 for the 30th Aniversary of Bird by Toikka. Only 500 were produced, each numbered and signed. 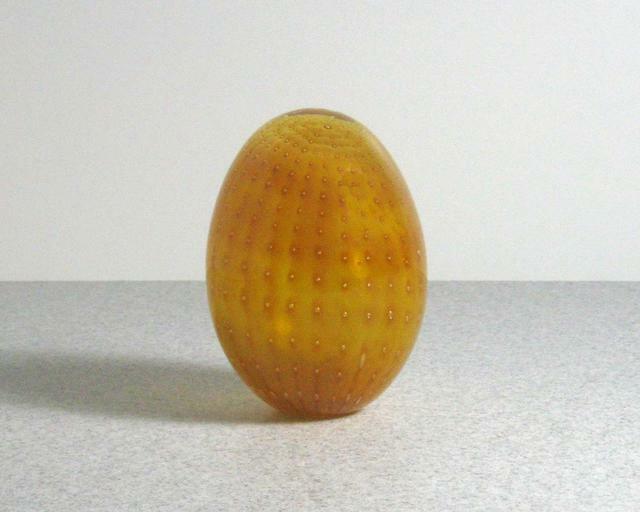 The golden-hued egg has "controlled bubbles," meaning the pattern can be seen but not felt beneath the smooth top layer of glass.